Price of new Yamaha R15 V3 ABS starts from Rs 1.39 lakhs, ex-sh. Yamaha R15 V3 fans can expect a safer ride as the bike now comes with dual-channel ABS. With this, 2019 Yamaha R15 V3 has become the first 150 cc bike to get dual-channel ABS. 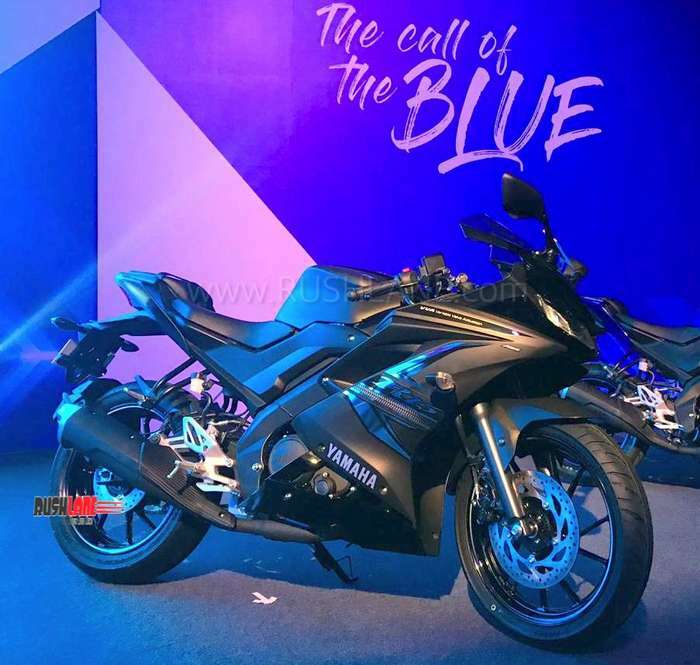 Apart from ABS, Yamaha has also added a new colour option. Finished in matte black, this one is called the Darknight. Usual colour variants cost Rs 1.39 lakhs, while the Darknight cots Rs 1.41 lakhs, ex-sh. All-new Yamaha R15 V3 is designed to impress, featuring an aerodynamic front, sharp LED headlamp, clip-on handlebars, fully digital instrument console, sinewy fuel tank, split seats, ABS logo, rear set foot pegs, and stylish LED taillight. Headlamps come with 4 LEDs, two each for low beam and high beam. New-gen Yamaha R15 derives design inspiration from Yamaha R1 and R6. Dual-channel ABS will allow improved braking performance. Safety will be dramatically improved, as things like wheel lock-ups and skidding can be avoided. This will give more confidence to users when riding at high speeds, and negotiating sharp curves and slippery surfaces. YZF R15 V 3.0 is powered by a new 155cc liquid-cooled SOHC 4-valve fuel-injected engine that delivers 19.3 PS @ 10,000 rpm and 14.7 Nm @ 8500 rpm. Engine is mated to a 6-speed transmission that is designed to deliver improved fuel economy without compromising on speed. The bike also has assist & slipper clutch that ensures reduced efforts when shifting gears during deceleration. Another addition is gear-shift timing light on the LCD instrument console, which indicates the right time to change gears. The console also has VVA indicator (Variable Valve Actuation) and USB charging port. Suspension system comprises telescopic fork at the front and swingarm (link suspension) at the rear. 2019 YZF R15 has wider tyres, 100 / 80-17 at the front and 140mm /70 -17 at the rear. Braking power is applied through 282mm discs at the front and 220 mm discs at the rear. 2019 Yamaha R15 V3 is priced at Rs 1.39 lakh (ex-showroom, Delhi), 12k more than the earlier model priced at Rs 1.27 lakh. Colour options include Thunder Grey, Racing Blue and a new addition – Darknight.